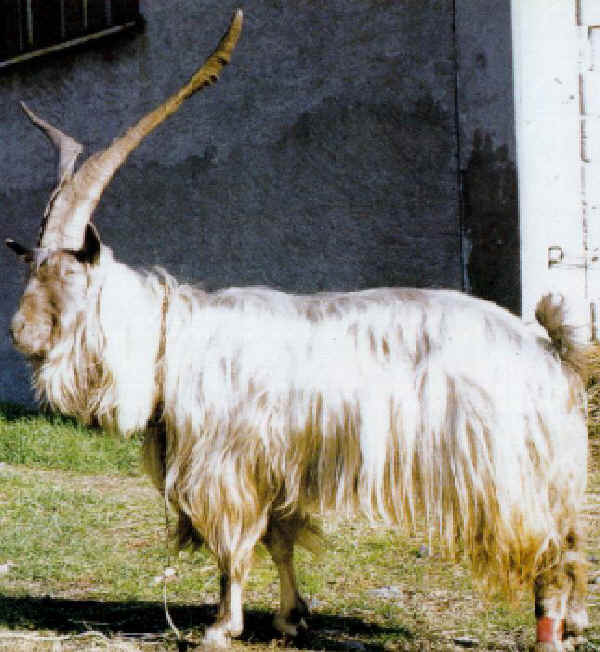 The Orobica is a breed of goat raised in the Bergamo Alps of northern Italy (provinces of Sondrio Como and Bergamo, Lombardy). Its origins are unknown. Both sexes carry very long horns and erect ears. The coat is lustrous, composed of fine long hairs, with a colour varying from uniform ash-grey to violet-beige.